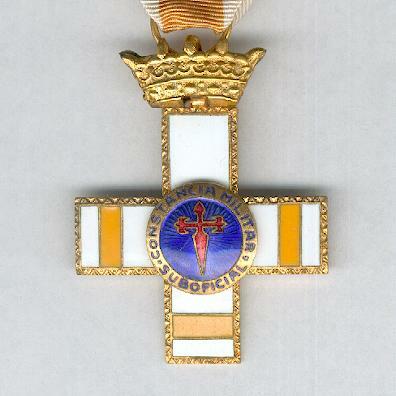 Gilt-edged white and yellow enamel Greek cross with swivel civic crown suspension of the Franco era; the face with an imposed circular central blue enamel medallion with a red enamel Cross of Santiago encircled by a gilt ring inscribed in blue letters ‘CONSTANCIA MILITAR * SUBOFICIALES’ (Military Constancy * Non-Commissioned Officers), a yellow band on each of the arms of the cross denoting a pensioner’s cross; the reverse plain; on original ribbon with gilt ‘pasador’ top bar mounted for wear. 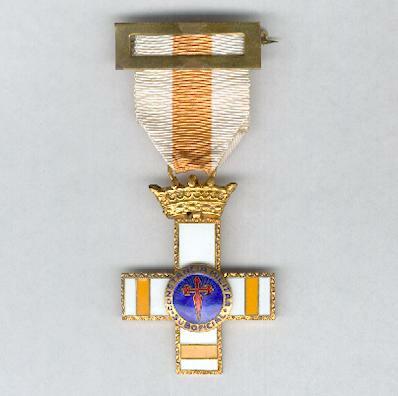 The Cross was instituted on 26 December 1958 for long and irreproachable service by non-commissioned officers. 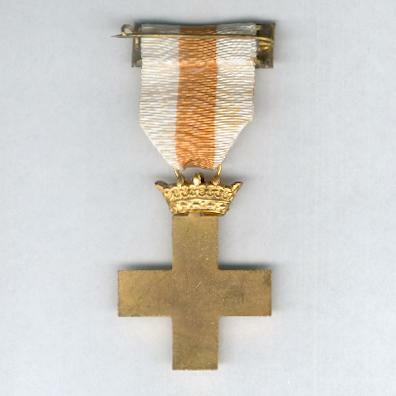 The yellow bands on the arms of the cross distinguish this as a cross for a retired N.C.O. rather than one still on active service. 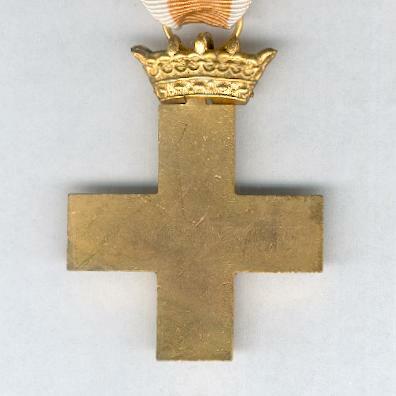 The award is for 25 years’ service. A very good example.